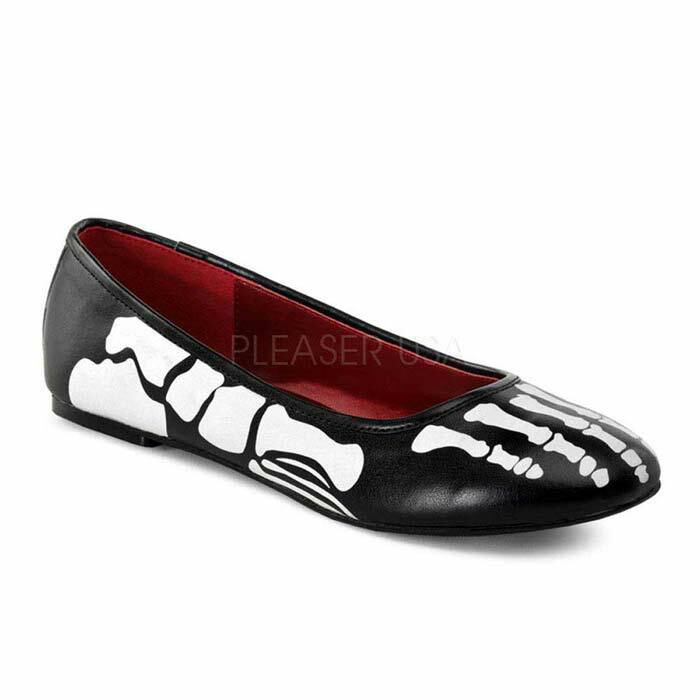 The X-RAY-01 are adult ballet flat shoes with x-ray skeleton print. The shoes are made black and white polyurathane material. They are single with a round toe. 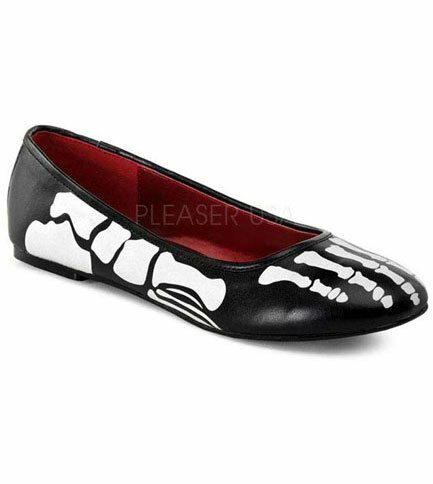 These shoes look great with a skirt or can be worn with a costume. By Demonia. These shoes are totally cute. As they are plastic, they are not super flexible, but the size was still right on.